Laser skin peels and skin resurfacing are effective non-surgical & non-invasive treatments that can help fight against the effects of aging, sun damage and scarring. At the Beverly Hills Center for Plastic & Laser Surgery, Dr. Ben Talei, a dual board certified facial plastic surgeon offers state of the art procedures in skin peels and laser skin resurfacing. The laser skin peel is used on the skin and signals the skin to begin to repair itself. The skin then begins to slough off the old and damaged skin, revealing new, younger and healthier looking skin. Some patients experience redness and swelling after treatments, but it generally subsides soon after. In order to reach the ideal results, several sessions may be necessary. 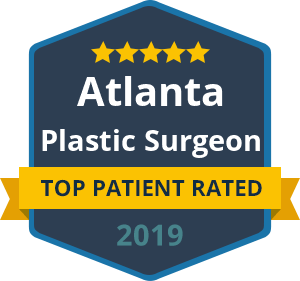 Laser skin peels and skin resurfacing can be used to avoid traditional plastic surgery or in conjunction with several plastic surgery procedures. When combined with other procedures, these skin peels can result in a naturally glowing, more youthful look. Dr. Talei has dual fellowship training in facial cosmetic and reconstructive surgery and vascular birthmarks and congenital anomalies with laser surgery. He is not only a highly skilled surgeon, but Dr. Talei also has the expertise to prescribe the right treatment for your problematic areas. If non-surgical treatments are indeed a fit, you can schedule your procedure when it’s convenient for you. If you think you might be a candidate, contact our laser skin peels and skin resurfacing specialists at the Beverly Hills Center for Plastic & Laser Surgery to schedule your consultation with Dr. Talei. It’s during this consultation that you can fully understand the benefits of this procedure and align your goals accordingly.